The TMJ, or temporomandibular joint, is the joint that gives the jaw its ability to slide from side to side, open and close smoothly. It is a complex joint that is made up of bones, discs, ligaments and muscles. Any imbalance can contribute to the development of TMJ disorders, including muscle problems, joint pain and joint abnormalities. 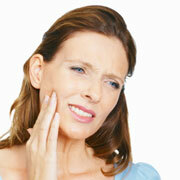 These symptoms can be extremely painful and can interfere with healthy jaw function. If you have any symptoms of TMJ disorders, including pain or decreased joint movement, our Los Angeles TMJ expert can help. Our expert inTMJ in Los Angelesoffers comprehensive evaluations that can help diagnose your problem. An accurate diagnosis can help us provide you with the most effective treatments possible. In most cases, a conservative treatment regimen will provide you with the relief you need and improve the health of your jaw. Lifestyle changes can be helpful regardless of your diagnosis. Our Los Angeles TMJ expert may suggest that you eat soft foods and take small bites to alleviate the pressure on your TMJ. Avoid foods that are extremely hard, crunchy or chewy to give your jaw a chance to rest, and try to avoid opening your mouth too widely. Ice packs and moist heat can be used to relieve inflammation and relax tight muscles. Physical therapy may be needed for some patients. Special exercises can stretch and strengthen the muscles around the joint. Some patients may need more extensive treatments. Our expert in TMJ in Los Angeles may recommend or prescribe non-steroidal anti-inflammatory drugs to ease inflammation or muscle relaxants to ease the tight jaw muscles. Patients who grind their teeth or who have stress-induced TMJ disorders may benefit from anti-anxiety medications. Oral appliances can also be helpful for patients who grind their teeth or who have certain other dental issues. Other treatments may also be appropriate to correct underlying dental problems. Orthodontic treatments can correct alignment or occlusion problems that contribute to TMJ disorders, and lost or damaged teeth may need to be replaced. Contact our Los Angeles dentist today to find out more or to schedule your appointment.